The Federal Emergency Management Agency is testing a new "presidential alert" system nationwide for the first time next week that will make it possible for Donald Trump to directly message almost everyone in the nation who has a cell phone. But it won't be a political message or attack on one of his perceived enemies-or at least, it's not supposed to be. The wireless emergency alerts (WEA) system was authorized by Congress in 2015 under a law that states the "system shall not be used to transmit a message that does not relate to a natural disaster, act of terrorism, or other man-made disaster or threat to public safety". "No action is required". 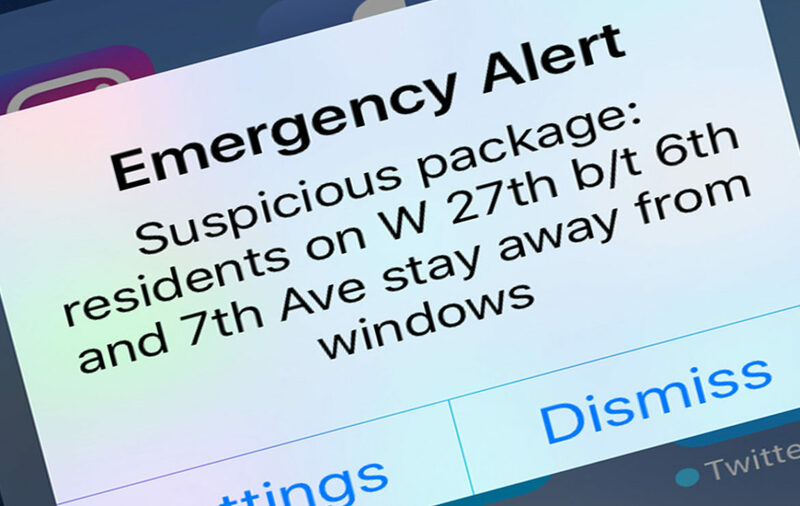 In a real situation, the system would be used to warn the public about risky weather, missing children, or another critical situation that may require you to evacuate or remain in place. "No action is needed". "The EAS [Emergency Alert System] is a national public warning system that provides the President with the communications capability to address the nation during a national emergency", FEMA said. The WEA test will be broadcast over the course of about 30 minutes and sound the same as an AMBER Alert. Cell phones should receive the message once. The system is used to warn the public in cases of emergency, such as risky weather, and missing children.